If you’ve been following recent developments in the home entertainment space or the news out of this year’s CES, you might have heard the term MicroLED. Currently, the only TV brand looking to bring the technology to the mass market is Samsung. However, there are plenty of reasons to sit up and pay attention. MicroLED is a new flat-screen display technology. Like the name suggests, it allows for displays that creates images through an array of microscopic light-emitting diodes, which are self-emissive on a per-pixel level. Basically, imagine an LCD LED TV - but imagine that each LCD is much smaller and comes with its own built-in backlight. Essentially, MicroLEDs themselves emit and act as their own light source. This means that unlike regular LCD LED TVs, MicroLED TVs require no backlight. It also opens up a whole world of possibilities and potentially makes MicroLED look like a real competitor to OLED when it comes to picture quality. How does MicroLED compare to OLED and QLED? MicroLED is able to achieve a lot of the same strengths as OLED with the main difference being that the former is inorganic and the latter is organic. Samsung say that this difference could prove a huge detail in the long-run as it (at least, in theory) prevents MicroLED from suffering the kind of degradation over time that OLED panels are susceptible to. The per-pixel backlighting means that MicroLED TVs are capable of the same perfect blacks as OLED. However, MicroLED are also said to support far higher peak brightness levels than OLED is capable of - making them a better fit for HDR content. Interestingly, Samsung say MicroLED displays are made up of a series of smaller panels that have been "knitted together”. This modularity not only allows for new kinds of TV designs or unique form-factors, it could also allow customers to hypothetically customize their bespoke MicroLED TV to fit the size of their living room. This is a really interesting detail but it remains to be seen whether vendors will bring that level of customization to everyday customers or just businessses. In addition, the absence of a backlight means that MicroLED TVs are be able to be built thinner than their LCD LED predecessors. In the long run, MicroLED could potentially even approach things like LG’s Signature “Wallpaper” OLED for slimness. Currently, the only TV vendor with any tangible stake into MicroLED is Samsung. 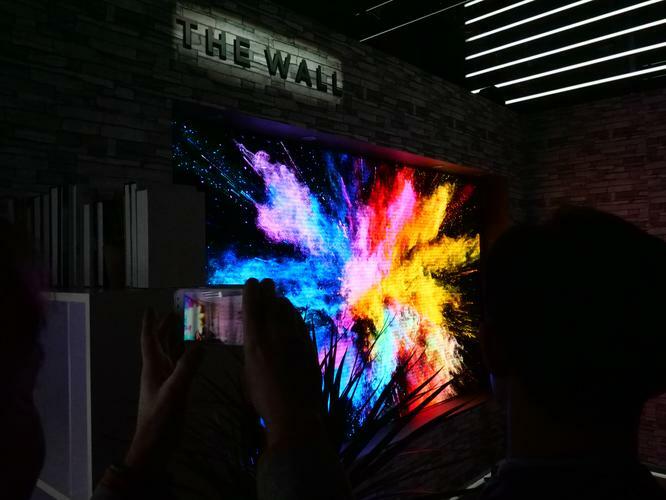 They’ve previously used the technology in their commercial-grade cinema screen products but did show-off a consumer-grade concept TV called “The Wall” at this year’s CES. Sony have also implemented a variation of MicroLED into some of their digital signage products - so it’s possible that their AV division could be gearing up to embrace the display technology in due time. Outside of the home entertainment space, there have been persistent rumors that Apple is looking to adopt the technology for their next-generation of smartwatches and smartphones. However, given the current limitations of MicroLED, this may be a while off. There are two major drawbacks here. The first is that MicroLED isn’t actually available and, once it is, it’s expected to come in at a pretty high price. The second is that MicroLED pixels aren't actually small enough to suit smaller display sizes. At least, not yet. To date, the smallest MicroLED screen size that supports 4K resolutions is said to be about 145 inches. Eventually, more conventional screen sizes will likely be supported. However, at the moment, we’re not quite there - which does limit the appeal for those with smaller living rooms. Again, that’s the tricky thing. Currently, if you’re an everyday consumer, you can’t actually buy any MicroLED TVs even if you wanted to. 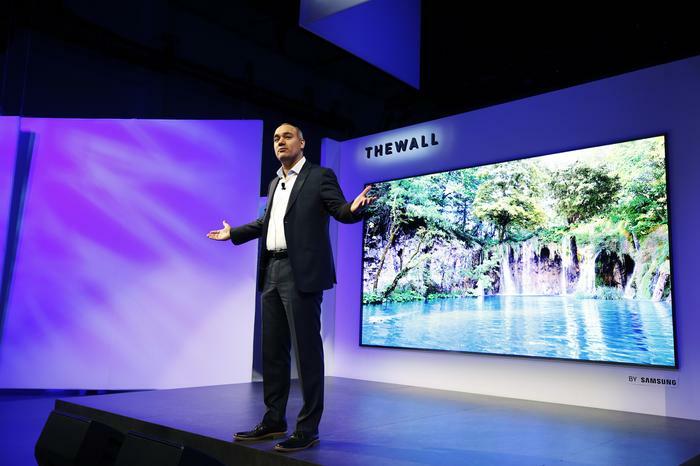 In the months following its debut at CES, Samsung have indicated that “The Wall” will actually make its way to customers in 2018. Unfortunately, there’s no word yet on exactly when this will happen, nor how much it will cost. 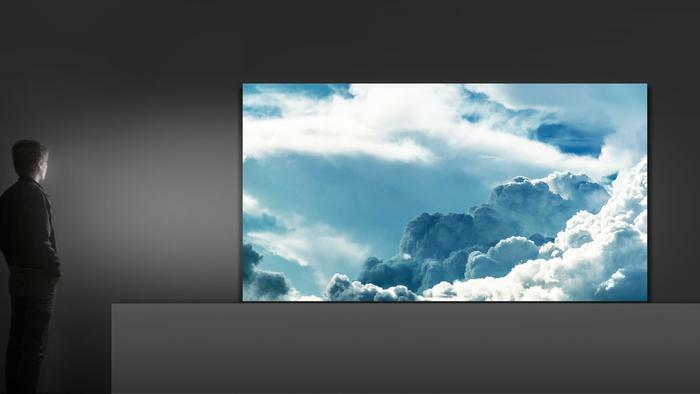 Another unknown is how big of a TV the version of “The Wall” that Samsung bring to market will be. The concept shown at CES was a whopping 146-inches in width. The modularity of MicroLED means that scaling this up or down to better suit customer demands is entirely possible - if Samsung are willing to offer it. However, again, the likelihood of this possibility is still a big unknown and subject to the aforementioned limits on the size of pixels on MicroLED panels. Still, while the reality is that you can’t actually buy a MicroLED, there’s definitely a enough here in terms of advantages that you can expect the technology give OLED a run for its money before long. Given time and enough investment from Samsung, MicroLED could very well become the next major display technology within the home entertainment space and beyond. For now, however, the smartest bet is to wait, see and probably save up some money. After all, the future never comes cheap.